There will be a slew of other high school musicals taking place around South Jersey through Sunday. There will be tons of musicals taking place across South Jersey this weekend, while some communities are getting a head start on St. Patrick’s Day celebrations. Check out what events are taking place around the area this weekend. Comic book fans of all ages will want to be at the Cherry Hill Public Library on Saturday for Comic Con 2017. The event takes place from noon to 4 p.m. Enjoy panel discussions, a superhero story time, gaming tournaments and more. Also meet local artists, and purchase comic books and fandom merchandise. The event is free to attend. Visit www.chplnj.org for more information. 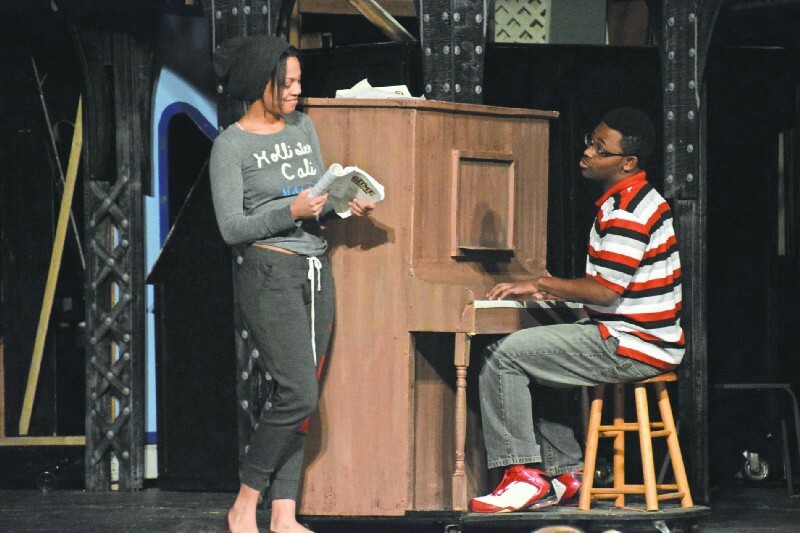 More high school musicals will be taking place across South Jersey this weekend. At Eastern Regional High School, enjoy a performance of the musical, “Les Miserables,” on Saturday night at 7:30 p.m. Tickets for the performance are $13 at the door. To purchase tickets, visit www.eccrsd.booktix.com. The theater department at Haddonfield Memorial High School will perform the classic Broadway musical, “42nd Street,” this weekend. Performances will take place on Friday and Saturday night at 7 p.m. and Sunday night at 2 p.m. Tickets are $10 per person for the evening shows. On Sunday, tickets are $7 per person. All tickets are sold at the door. Community members have one final chance to see Moorestown High School’s spring musical, “Curtains,” on Friday and Saturday nights. Performances will take place at 7:30 p.m. on both evenings. All tickets for the show are $15 per person. To purchase tickets, visit www.moorestownhstheater.weebly.com. Celebrate St. Patrick’s Day in North Wildwood this weekend at the town’s St. Patrick’s Day Celebration and Parade on Saturday. The day begins with a ceremony at the front steps of North Wildwood City Hall, 901 Atlantic Avenue, beginning at 11:30 a.m. A parade will begin at noon and travel north on Atlantic Avenue. This event is free to attend and open to all. Hundreds are expected to dive into the chilly Atlantic Ocean on Saturday at the Stone Harbor Shiver Polar Plunge. The event will take place at the beast at 96th Street in Stone Harbor. There will be a parade traveling to the Women’s Civic Club at 11:45 a.m. where participants can show off their costumes. At about 1 p.m., all participants will rush into the water. Costs range from $20 for kids to $30–45 for adults. Proceeds benefit Family Promise of Cape May County. Visit http://www.active.com/stone-harbor-nj/water-sports/swimming/stone-harbor-shiver-polar-plunge-2017 to sign up. Anyone excited for spring will want to visit the Pennsylvania Convention Center this weekend for the Philadelphia Flower Show. This year’s show opens to the public at 11 a.m. on Saturday. Hours are from 11 a.m. to 9 p.m. Saturday and 8 a.m. to 9 p.m. on Sunday. The theme for this year’s show is “Holland: Flowering the World.” Online ticket prices are $28 for adults, $20 for students and $15 for kids. Visit www.theflowershow.com for more information. The 2017 Leprechaun Run will take place on Saturday starting at 7:30 a.m. along Martin Luther King Drive next to Paine’s Park. New this year is a lucky 7-mile race. There will also be a classic 5-mile race and 2-mile fun run and walk. Registration is $30 for the fun run and walk the day of the event and $40 for either race. Proceeds benefit Special Olympics Pennsylvania. For more information, visit www.sopaphilly.org/programs-and-events/fundraising-events/leprechaun-run.